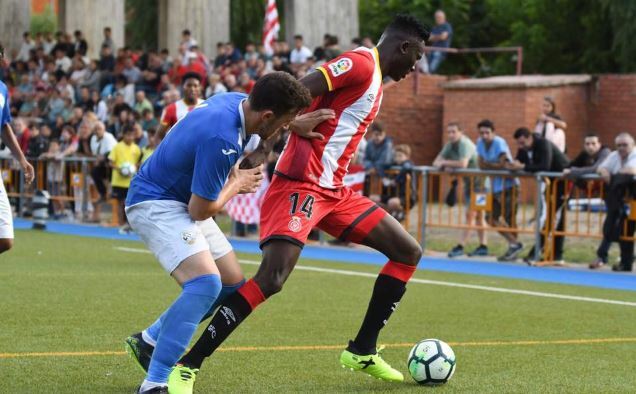 Kenya’s Harambee Stars international Michael Olunga started life in Spain in spectacular fashion as his team cruised to an 8-0 victory over CF Ripoll on Monday. Olunga, who joined his new club Girona on loan from Chinese Super League side Ghuizhou Zhicheng, contributed two of the goals. The 23-Year-Old striker produced the goals in a space of two minutes, getting his first in the 70th minute before completing the brace two minutes later. Following the dream debut, the former Gor Mahia, Tusker FC, and Thika United striker took to social media to express his excitement. Olunga completed the move to the La Liga newcomers just hours before the closure of the Spanish transfer window on Friday night. He becomes the second Kenyan to play in the Spanish top flight League after midfielder McDonald Mariga who had a brief loan spell at Real Sociedad in the 2011–12 season. He is in line to make his La Liga debut away to Athletic Bilbao at the San Mamés Stadium on Sunday.